The thumb rule that we know higher expected returns are related to higher risk. There have been claims like risk is more than just volatility. Was going through a journal Journal of Portfolio Management, and realized arguing that risk is more than just risk. The term is unnecessarily narrow; securities offer returns for reasons other than risk, as the word conventionally is used. 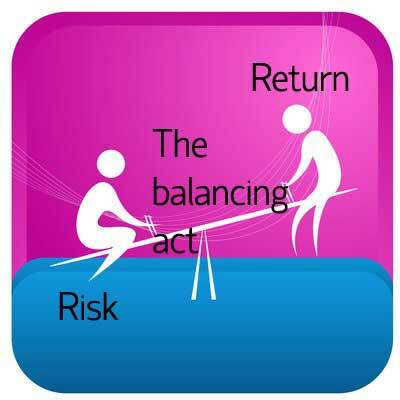 Economic–The common notion of investment risk. The danger that a security might not be able to make required current payments, that these payments might not prove as valuable as expected (as caused, for example, by inflation), or that projected future payments might be less than anticipated. As Ibbotson and Idzorek write, people naturally do not seek these attributes and wish to be compensated for owning them. Structure–How the security is packaged. Those that are cheap to own, that are taxed favorably, that may be readily traded, and that treat shareholders well (legally and otherwise) will be prettier than those that are not. Roger Ibbotson has written extensively of the return premium afforded to illiquid stocks. Accepting lower liquidity can be thought of as taking on more risk; but it’s better yet to think of it as accepting an unattractive structure. Restrictions–Barriers to ownership. These might be institutional, such as the claim that low-volatility stocks outperform high-volatility stocks because institutions generally cannot leverage. As a result, investors flock toward higher-volatility stocks (assuming more economic unattractiveness, in my scheme), thereby reducing those stocks’ expected returns. Or the difficulty of trading across national borders, tax problems, legal and fiduciary concerns, and so forth. There are many ways that restrictions can affect security prices. They are not as the term commonly is used, investment risks. Behavioral–The psychological aspects of ownership. The pain of holding unpopular securities–and the possible extra return associated with accepting that pain–has already been mentioned. Any investment tactic that seeks to profit from other investors’ behavioral patterns, as caused by common psychological responses (that is, not caused by structure or restrictions, which would fit into sources number two and number three, respectively). These, too, cannot be called investment risks. « Why you should be in Stocks?